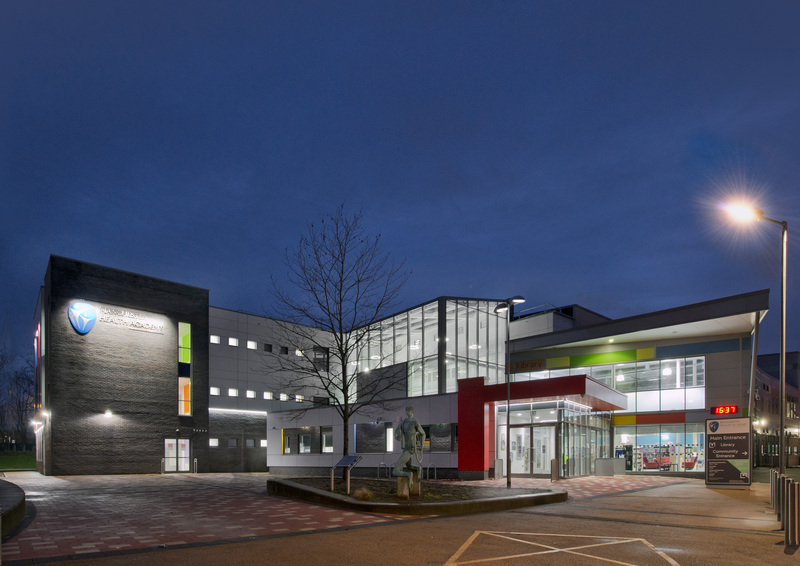 To enable growth from 720 to over 1200 pupils by 2022, Bowker Sadler Architecture worked with Manchester Health Academy to create a masterplan to provide world class facilities. 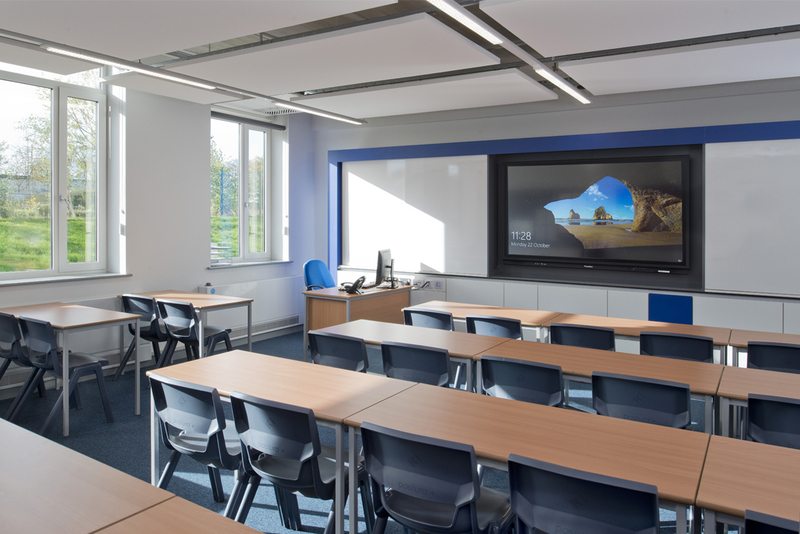 The new 16 classroom block creates a publicly prominent statement of the Academy’s extension, whilst placing a protective arm around the new atrium heart of the building. 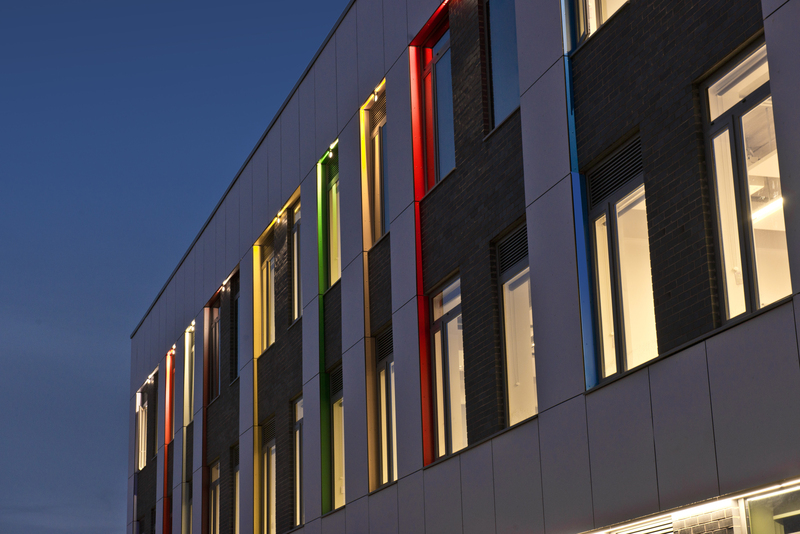 Designed as a simple, restrained architectural evolution of the existing building, externally the new block features colourful window reveals that hint at the original cladding colours. 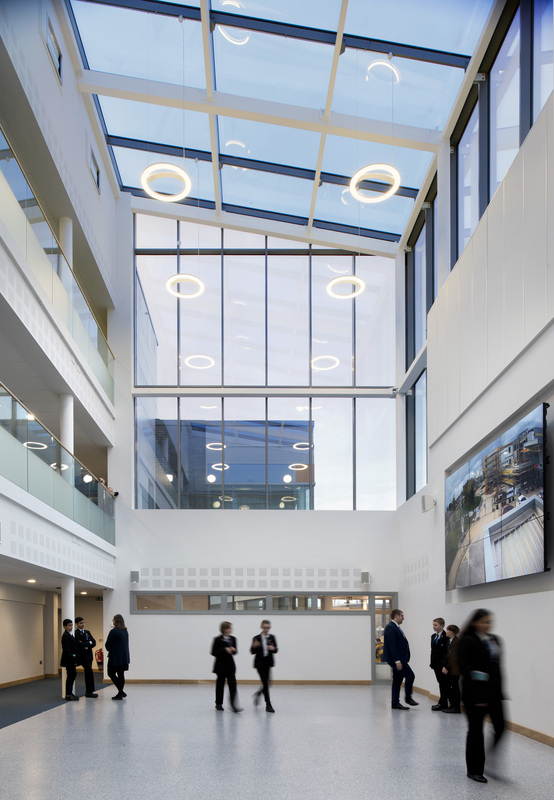 The multi-use atrium, in the centre of the new block, creates a flexible vibrant open space that the Academy are keen to use as much as possible. 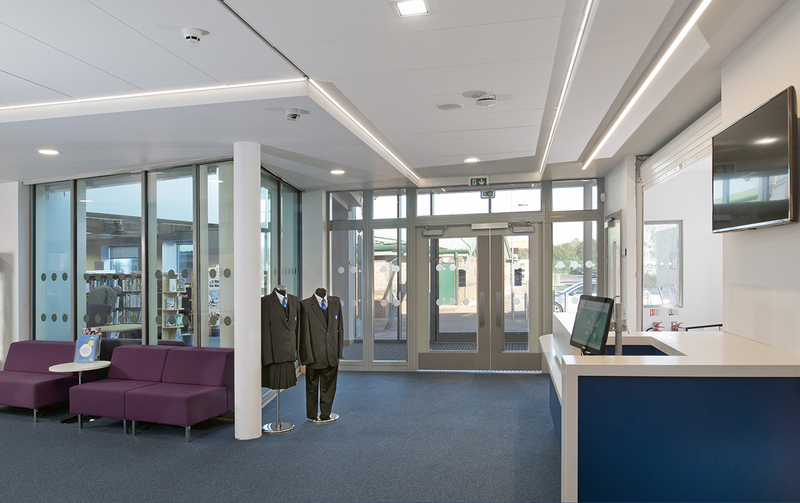 The design incorporates a range of sustainable principles including optimising natural light, thermal mass, a green roof and assisted natural ventilation.